J&K govt says the curbs on newspapers, first of their kind, ‘reluctant’ decision to guard against ‘projections in media’. Editor Shujaat Bukhari tweeted this photo of Rising Kashmir, July 16 edition, ‘seized by police after raiding press’. 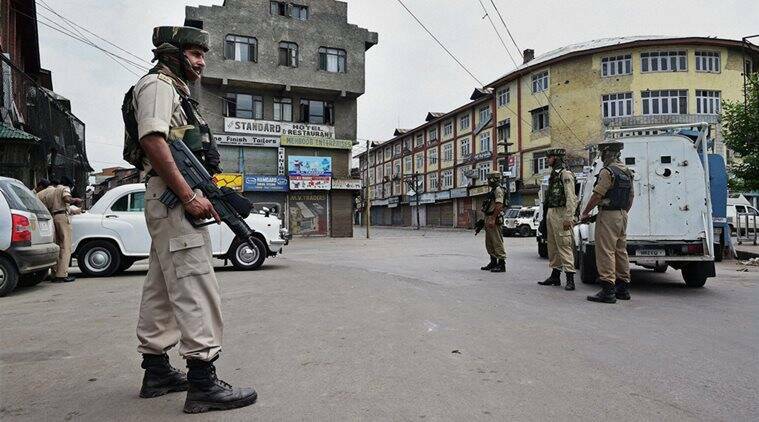 FOR the first time in the Valley, printing presses were raided, printing machines stopped and their staff reportedly detained as the J&K government sought to enforce a complete information blockade. Apart from the extraordinary curbs on publication of newspapers, Internet and cellular communication has been almost completely snapped outside Srinagar. By late evening, cable TV network was restored in some parts of Srinagar. 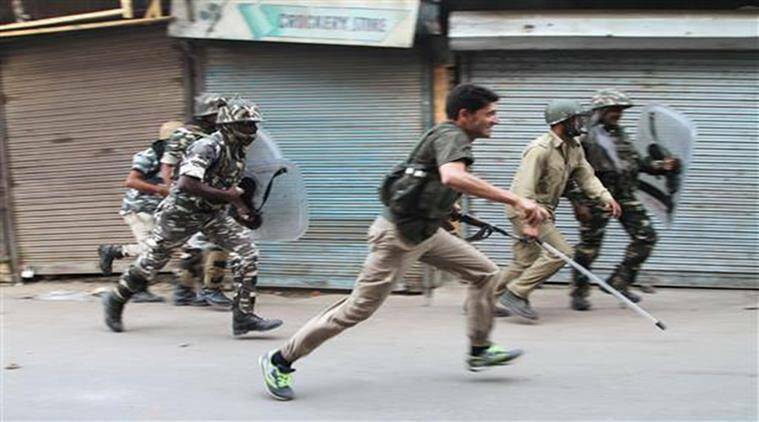 It is for the first time since 1990 that such a crackdown on the media is being seen in Kashmir. Asked about the “ban” on newspapers, J&K government spokesperson and Education Minister Nayeem Akhtar said it was a “reluctant decision”. “It is a temporary measure to address an extraordinary situation… In our opinion, there is an emotional lot, very young, out in the field, who get surcharged due to certain projections in the media, which results in multiplication of tragedies,” Akhtar told The Sunday Express. On Friday night, police teams raided several newspaper printing presses in Srinagar and on its outskirts, stopped the printing, seized any published newspapers and, reportedly, detained press employees overnight. Apart from Greater Kashmir, Urdu daily Kashmir Uzma, the Kashmir edition of Chandigarh-based Tribune, is printed at the press. Raja Mohidin, the owner of K T Press, that publishes eight Srinagar-based newspapers, said a police team had raided their printing press at 2 am, seized all the newspapers there, taken away the printing plates and arrested eight press employees. The employees, Mohidin said, were released in the morning. “We are not seeing this for the first time, but it is for the first time that they (the government) have officially banned newspapers from publishing. It is an attack on the freedom of the press,” said Rising Kashmir Editor-in-Chief Shujaat Bukhari. “We spoke to someone in the government and we were told that it will help (calm the situation)”. Newspaper editors met in Srinagar on Saturday afternoon and termed the crackdown an “attack on the press”, “vowing to fight back at all costs”. While it is not the first time newspapers have been forced to stop publication in Srinagar, it is the first time that this has been ensured officially. In the early 1990s, Valley newspapers had suspended publication for a month after pressure from the government and militant organisations. In 2008, during the Amarnath land row agitation, the government had seized newspapers. In 2010, during the largescale protests by stonepelters, the government had cancelled all curfew passes issued to journalists, thus preventing publication of newspapers. While the government had later re-issued the limited curfew passes — two to each organisation — newspaper owners had suspended publication for 10 days in protest. Again, after the execution of Afzal Guru, the J&K government had seized all newspapers published in the Valley for one day, February 10, 2013. For most of Saturday, cable TV networks also remained off air in the Valley. The owner of a network claimed that late on Friday night, a police team in civvies had arrived at their office and forced them to switch off the transmission. The cellular networks are already heavily restricted. 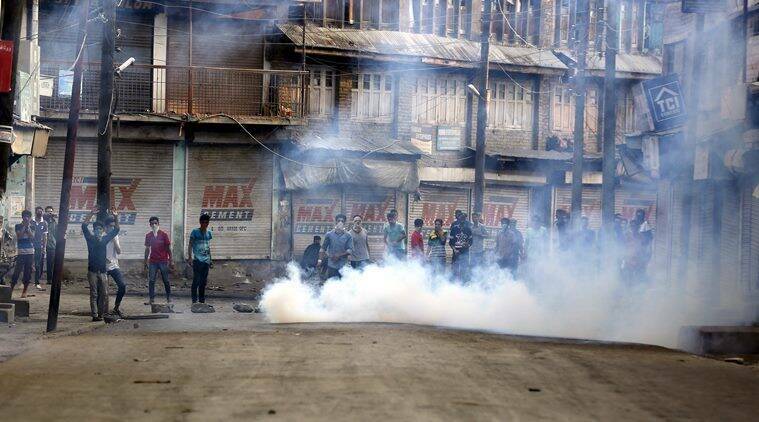 In north Kashmir, that saw one death in fresh protests Saturday, the government has snapped both cellular and landline networks, making it virtually impossible to communicate with anyone there. In central and South Kashmir, only BSNL mobile phone and landlines are working, while cellular networks of other service providers have been snapped. After days of remaining disrupted, BSNL services in central and south Kashmir were resumed, sources said, in the wake of the Amarnath Yatra.